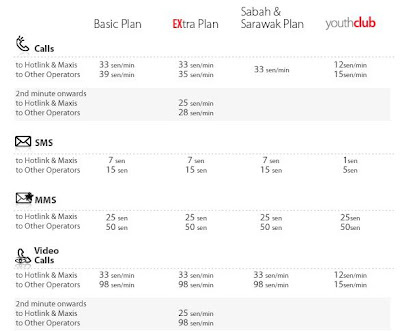 Hotlink has launched another prepaid plan, this time, is specially catered to the Sabahans and Sarawakians. The new plan came after it introduced the new prepaid plan, dubbed EXtra plan, about a week ago. The "value" they offer to the East Malaysian is obvious, 33 sen to any networks, anytime. They wont be charged 39 sen a minute if they call a non-Maxis number. I would like to thank one of the follower Xeon for taking notice of this new plan.